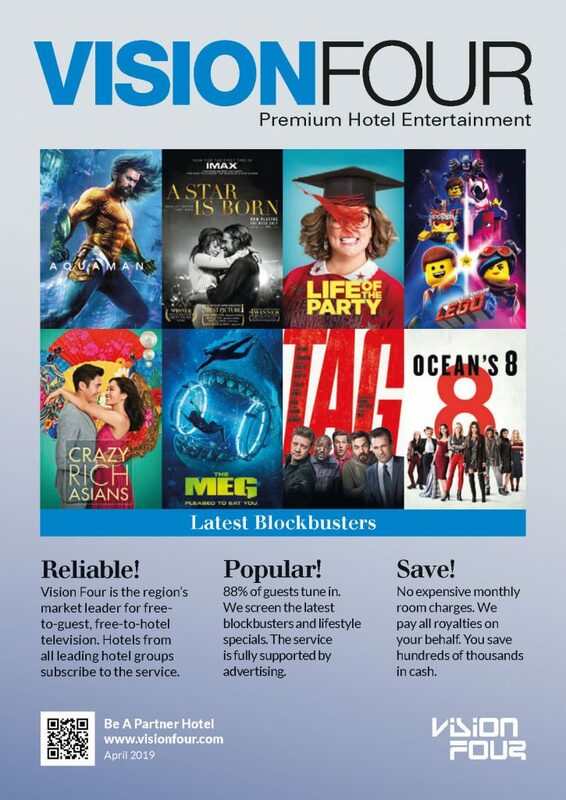 Vision Four partner hotels enjoy multiple HD streaming channels with all royalties fully paid. 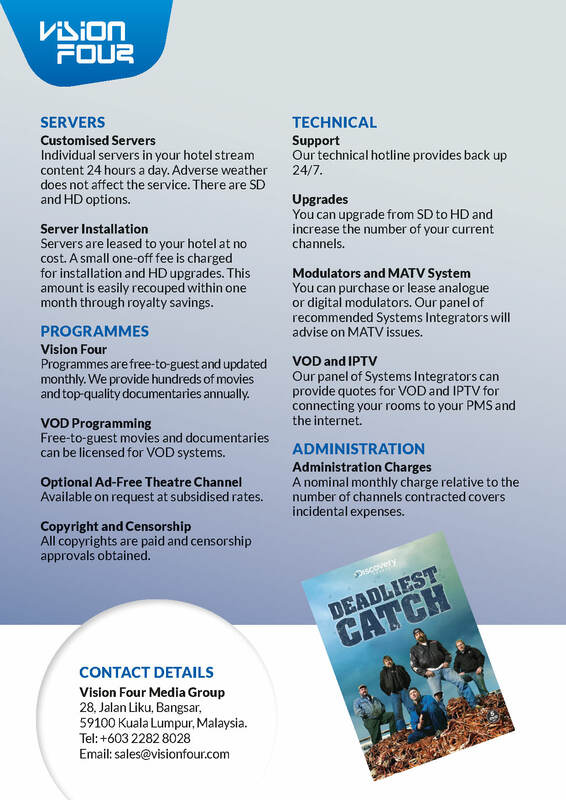 We also offer licensing options for Video on Demand and IPTV. 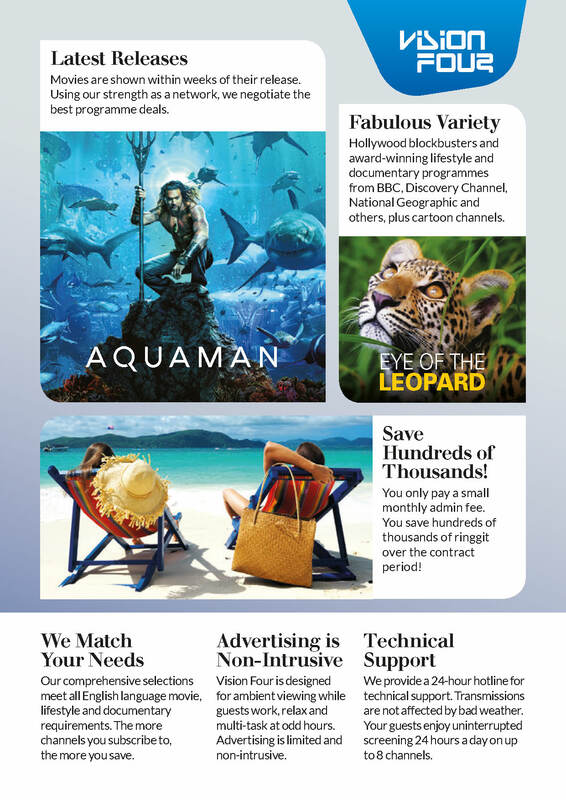 Our content includes the latest Hollywood blockbusters and award winning lifestyle programmes and documentaries. 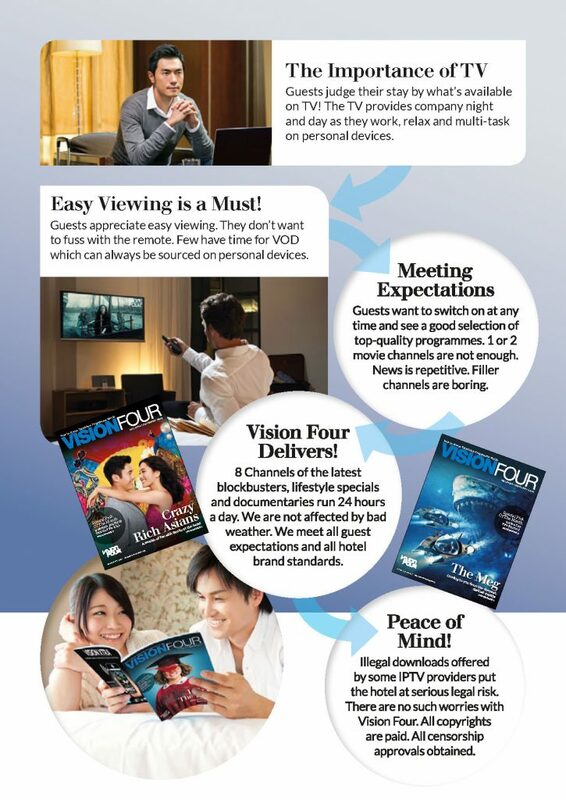 Vision Four meets all your English language entertainment requirements – saving you hundred of thousand in cash! We also match guest expectations. Guests tend to watch hotel TV in a passive way while they multi-task. They expect a good selection of channels in their room especially when watching for short periods and at odd hours. © 2019 Vision Four Multimedia. All rights reserved.